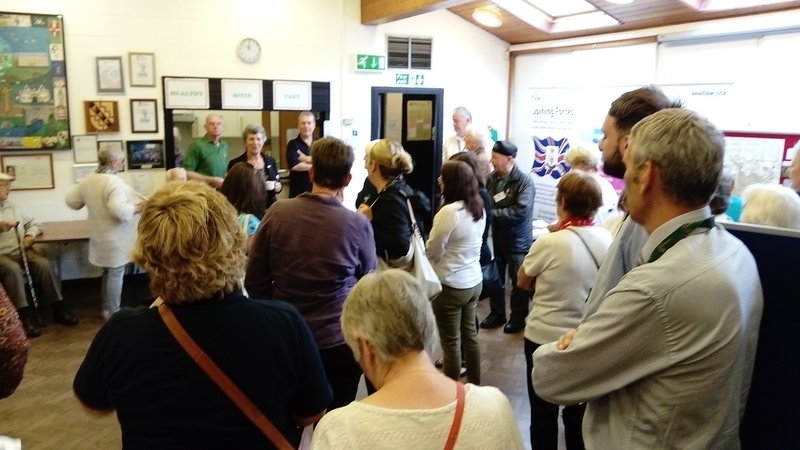 The 2nd Disley Health & Well-being Show, organised by Disley Parish Council, was held on Thursday 26th July 2018 at Disley Community Centre. Exhibitors included Cheshire Fire & Rescue, One You Cheshire East and the Macclesfield Eye Society. There was also a strong representation from local organisations such as Disley Amalgamated Sports Club, The Schoolhouse Surgery and Disley Footpaths Society. There were practical demonstrations and activities with the Schoolhouse Surgery doing free BMI checks, Lisa Robinson-Hall giving relaxing massages and Judith Thurston providing Indian Head Massages. 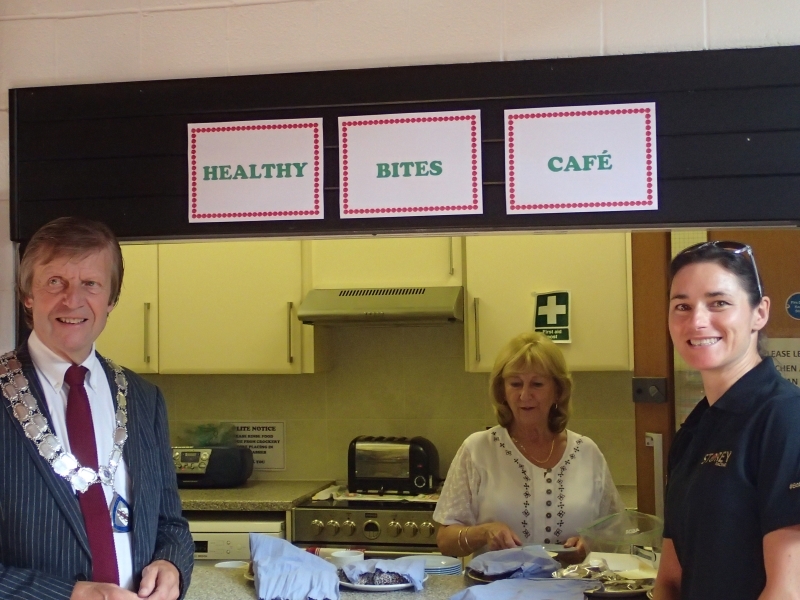 As shown in the photo, the Healthy Bites Café was open for business and special guests Dame Sarah Storey and Cllr. David Kidd enjoyed the fare. The Café again raised over £60 for the new Community Minibus fund and thanks go to the volunteers behind the counter. Disley Parish Council hosted the first Disley Health & Well-being Show on 7th September. The event boasted a wide variety of exhibitors and was well-attended by local residents. Cllr. Jackie Pattison formally opened the event at Disley Community Centre. National and regional organisations such as Age UK, Dementia Awareness and the British Red Cross were represented along with local exhibitors like the Schoolhouse Surgery, Disley Footpaths Society and Disley Community Choir. The Community Choir delighted visitors with a short set of songs and activities included blood pressure checks by the Surgery and free reflexology sessions by Lisa Robinson-Hall. The Healthy Bites Café did a roaring trade serving up tasty, low-sugar treats kindly donated by Disley’s Finch and Fig Café and the Disley Co-op. The Café raised over £60 for the Community Bus and special thanks go to Sheila Fearnley for all her help behind the counter. The event has been hailed a great success and Disley Parish Council would like to thank all exhibitors, visitors and event co-ordinator Helen Richards for making it such a memorable day.